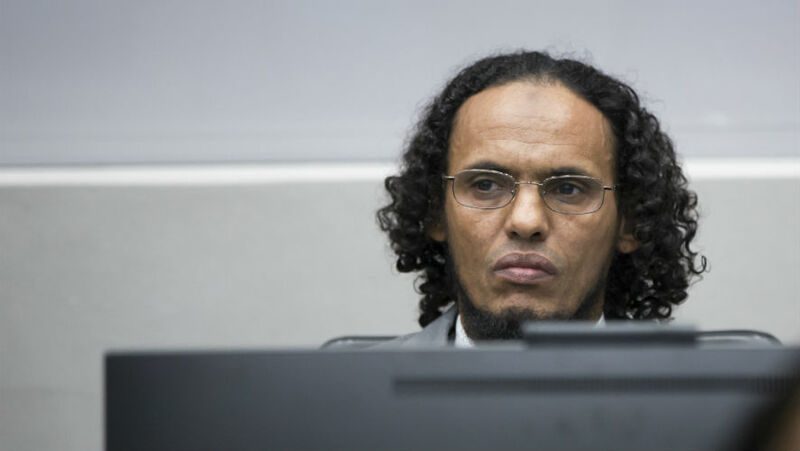 Malian Islamist Ahmed al Faqi al Mahdi was today found guilty by judges at the International Criminal Court in The Hague and handed down a sentence of nine years for attacking historic and religious buildings in Timbuktu. He had pled guilty and his trial last month only lasted three days. Today was all about the sentencing. The defendant, Malian Islamist Ahmed al Faqi al Mahdi, had already told the court that he was guilty of destroying cultural heritage monuments in his home Timbuktu. There was video evidence of him with a pickaxe, him directing others to destroy the historical shrines of ancient saints – many of which were listed as UNESCO heritage sites. He’d already signed a plea agreement with the prosecution where he agreed to the arguments of the ICC prosecutors, who called for him to be given a sentence of between 9-11 years. The prosecutors had guaranteed that they would not appeal if that’s what the judges actually did. He also told the court that he was sorry. It would have been odd if the judges had turned round and decided that he wasn’t guilty. But they said, in highly legal terms, that he was responsible. Al Mahdi was an important player in the takeover of Timbuktu in 2012 by a local branch of Al Qaeda and another Islamist group. And the judges described how he – because of his knowledge of the Koran and position as a local authority – was appointed to run the morality police, known as the Hisbah. The judges said that he “personally oversaw the attacks” – that he oversaw the sequence in which the 10 shrines and mausoleums were demolished, that the “pickaxes were bought with Hisbah funds”. After all that, the judges went into aggravating and mitigating circumstances – there wasn’t anything that Al Mahdi had done to make his crimes worse, they said. And mitigating, there were five things they took into account. The first, and main one, was that he had pled guilty. He also was cooperating with the prosecutor, almost right from the day he arrived in The Hague. He’d expressed remorse and – at the time of the attacks – had been reluctant to actually damage the mausoleums (only using a bulldozer on one of them), and had tried to protect the graves underneath them. And finally, that he’d behaved well in the prison’s detention centre. After the judges announced the nine-year sentence – the lowest in the plea agreement, but much higher than the defence had actually argued for at the hearings – al Mahdi’s lawyers looked downcast. 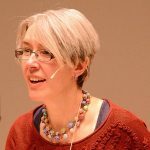 Carrie Comer, the representative of international human rights NGO FIDH in The Hague, said that she’d been “nervous” listening to the judges describing all the elements in Al Mahdi’s favour, that “a relatively light sentence could have been given”. So in the end, she was “a bit surprised and quite pleased”. She hopes this sentence will have a deterrence effect because “the judges really chose to highlight the severity and the gravity of these crimes”. Sergey Vasiliev, who teaches at Leiden University, was not surprised because the judges stuck to “the minimum threshold” outlined in the plea agreement. Otherwise “the Prosecution would have likely appealed it”. Why is the Mali situation at the ICC?